Mary Berger knows what it's like when drivers don't see her. Inattention nearly killed her. An avid motorcycle rider, Berger suffered serious injuries in a 2011 accident when a teenage driver pulled out in front of her at a Carver County intersection. Berger had the right of way but the driver said she didn't see Berger, according to the police report. "It's scary," the Waconia woman said recently. "It changes your outlook on life." 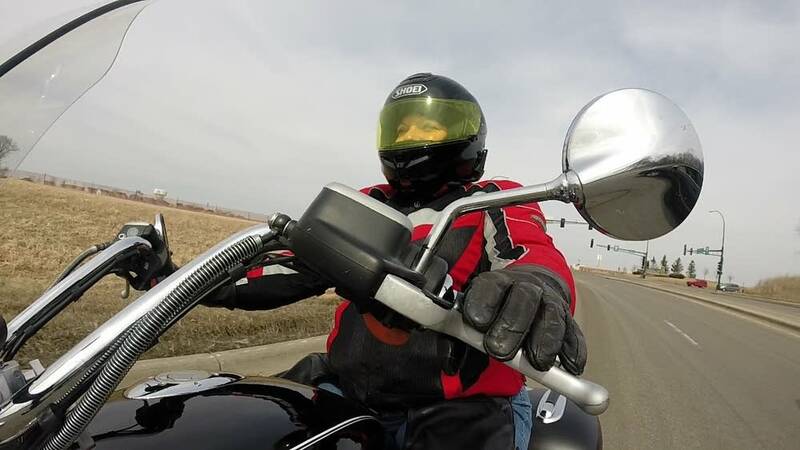 With the weather warming, Berger and her husband, Mike, are calling on motorcyclists and drivers who share the road to be careful. They're also bringing a message to lawmakers: They're part of a group backing legislation that would add more penalties to state law for careless driving that kills or hurts people. 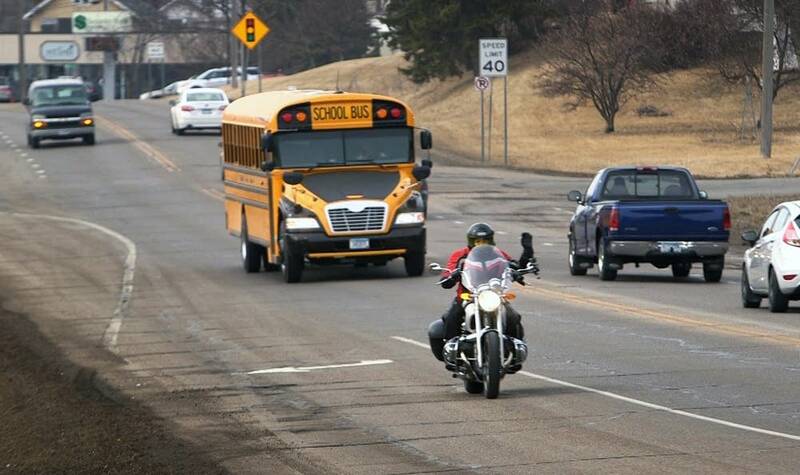 Click on the photo for safety tips and other info about motorcycles on the road. The proposal would let prosecutors charge careless drivers who injure or kill someone with a gross misdemeanor. Current law allows those drivers to be charged with either a misdemeanor or a felony, but nothing in between. The change has the support of motorcycle, bicycle and safe driving advocates. Lawmakers considered a similar bill in 2011. It cleared a House committee but never got to the House or Senate floors for a full vote. While Minnesota motorcycle fatalities are down — 44 in 2014 compared to 60 in 2013 — the couple believe the bill currently working its way through the Legislature may help continue that trend. The bill cleared a House public safety panel on Wednesday. A Senate panel is expected to take up a companion bill on Monday. Driver inattention is among the top contributing factors in crashes on Minnesota roads, according to the state Department of Public Safety. "This issue is far bigger than just motorcyclists, but as motorcyclists we know that we are kind of vulnerable to when a car driver isn't paying attention to us," said Mike Berger, a former member of the state's motorcycle safety advisory committee. Mary Berger said her training helped keep her accident from turning any more tragic. "Thanks to the advanced motorcycle training that I've taken, I was able to swerve and not hit her," Berger said. "Unfortunately, the swerve and sudden action caused the motorcycle to go down." Advocates for the proposed legislation say in some fatal crashes where the driver was careless but where alcohol, drugs or gross negligence were not factors, the driver could not be charged with a felony and was instead charged with a less serious misdemeanor. Safe driving advocates suggest the lesser charge minimizes the seriousness of many careless driving crashes. "Motorists need to know that there is a real penalty when you're not paying attention," Mike Berger said. Here are a few of Mike Berger's suggestions on how motorcycle riders and car drivers can live together on the road. • Don't hide in traffic. • Never assume that you have been seen; try to make eye contact with the motorist. • Be aware of sand, gravel and other road debris. • Complete passes quickly, and don't linger in a motorist's blind spot. • Always have an escape route in mind. • Expect to see a motorcyclist at any time. Motorcycles can be hard to spot. • Check your mirrors and blind spots before merging or changing lanes. • Be especially aware at intersections and look both ways before pulling out. Most car-motorcycle crashes happen there, usually when a car turns left in front of a motorcycle. • Don't be fooled by flashing turn signals. 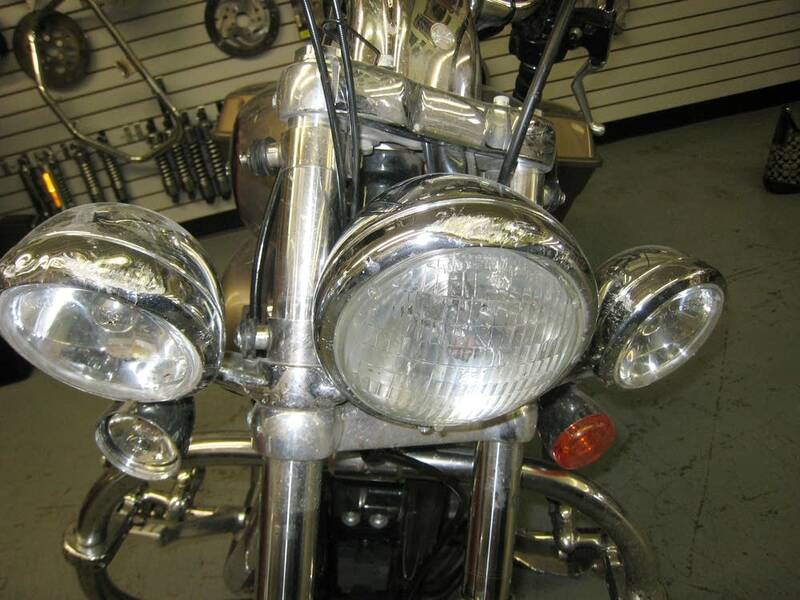 Not all motorcycle turn signals turn off automatically. Wait to make sure that the bike is actually turning. • Try to make eye contact with the motorcyclist. Trisha Volpe is a reporter working jointly for KARE TV and MPR News.